After seeing fresh gameplay at E3 2018, we now know a bit more about the Naughty Dog sequel. So come with VG247 as we run through everything we know. Naughty Dog and Sony still haven’t announced a firm release date for The Last of Us Part 2, but the developer did say that game was around 50-60% done in December 2017. 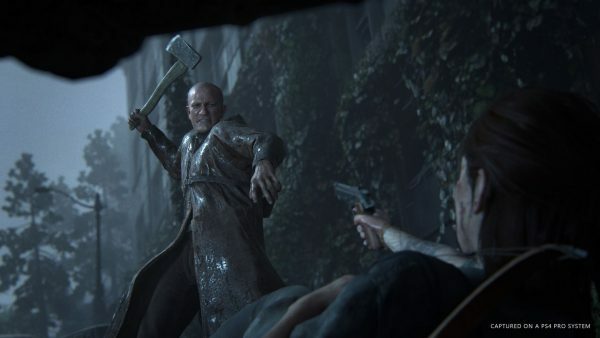 It’s been seven months since then, the game is in good enough shape to show off in-game footage at E3, so we wouldn’t be surprised if The Last of Us Part 2 gets a release date by the end of the year and finally releases towards the end of 2019. Saying that, the first game arrived in June 2013, so perhaps we’ll see it around the same time next year. Hopefully we’re not looking at June 2020 because that would make us cry more than the opening hour of the first game. 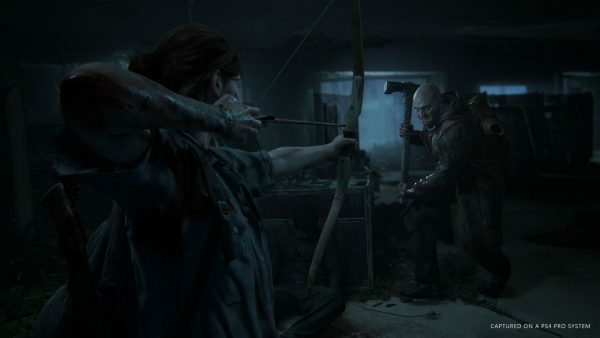 In the first game, players got the chance to control both Joel and Ellie at certain points in the story. Naughty Dog has said Joel still plays a big part in this sequel, but you will only ever be able to play as Ellie for this one. Director Neil Druckmann revealed this information during an E3 demo of the game. Of course, this could just be a red herring, saving some surprises for players when they finally get their hands on the game. Or, you know, Joel gets killed and it sends Ellie on a revenge spree, which is just as likely. Just like in the first game, Ellie won’t be on her own for this adventure. Naughty Dog confirmed in a recent interview that Ellie will be joined by an AI companion throughout – the developer just isn’t ready to tell us who that is just yet. “Well, so, Ellie used to be an NPC, but she’s the protagonist in this story, so the player is controlling Ellie. It’s safe to say with the game that we made in the past that there will be some NPC with you in this story, even though we’re not showing [the NPC] in this demo,” noted Neil Druckmann. 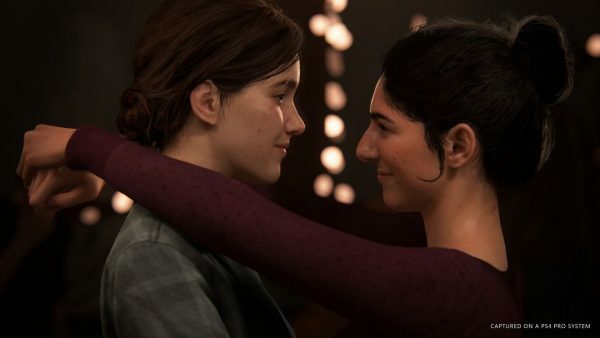 It’s unclear what role Ellie’s partner from the trailer will have in the game, but the addition of a lead LGBTQ character could earn The Last of Us 2 an Outstanding Video Game Award in the GLAAD Media Awards. The Last of Us has a brilliant, overlooked multiplayer mode that transfered the tense, methodical combat of the main game into a PvP setting. While we don’t have any details on multiplayer in The Last of Us Part 2, Naughty Dog has confirmed that it’s happening at least. This sequel will play similarly to the first game, though there’s been a few tweaks. For starters, there’s a dedicated prone button now. You can crawl under vehicles, through long grass, and sneak about like Solid Snake. There’s also a visibility indicator that shows how hidden you are at any time, making the game’s stealth more readable. On top of that, there’s also a dedicated dodge button. In combat, you can tap dodge to avoid incoming strikes and arrows. Ellie’s animations are contextual when you dodge, so she might slam into a car to avoid an axe swing, for example. You can also jump on demand. Another area of improvement is the enemy AI. The main group of human enemies communicate with whistles, and you have to decode what the whistles mean if you want to understand their plans. A new technical advancement Naughty Dog is experimenting with also allows the AI to know each other by name, making them seem more believable as actual people. Even if they do want to gut you. Speaking of which, The Last of Us Part 2 is extremely violent. The gameplay trailer shows disembowelment, neck piercing, a decapitation, and more. Don’t play it if the sight of blood disturbs you. The enemies shown in the E3 gameplay demo are called Seraphites, a dangerous religious cult that doesn’t tolerate outsiders. “The Seraphites are a more fanatical group, and they center their lives around faith and spirituality in a way that has become kind of fanatical and hostile and aggressive to outsiders,” Naughty Dog explained in an interview. Clickers will also be making a return, but Naughty Dog hasn’t shown off its new take on the mushroom zombies just yet. In the DLC for The Last of Us, Naughty Dog introduced a new mechanic – three-way battles, in which you can draw Clickers to a gang of raiders before watching them battle it out. Don’t be surprised if this is expanded upon in The Last of Us Part 2.